A noted screenwriter, lyricist and directed based in Kolkata, West Bengal, Rakesk Kumar Tripathi, better known by his screen name Rakesh Tripathi is noted for his work in Bengali and Hindi cinema. Having started his career as a theater activist with a theater group called 'Ragakarmee', he subsequently worked as a full-time repertory member and received a scholarship from the Indian Ministry of Culture. Apart from writing and directing, Rakesh Tripathi also worked as an actor and a backstage worker; he acted in plays like Rudali, Court Martial, Lokkatha, Holi, Khoj, Maiyyat, and Matkaa. Besides working in the theater industry for a significant amount of time, Rakesh has also worked extensively in the TV industry; he has written for more than 10 TV serials and lyrics for advertisement jingles. The multitalented has also penned the lyrics for than 500 songs for films and TV serials. 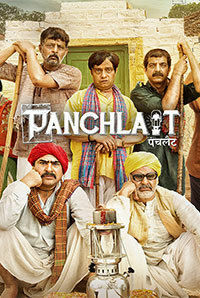 His 2017 feature film release includes Panchlait, a Hind drama directed by Prem Prakash Modi.